A long-time customer of JJE, Capital Sewer from Vaughan, ON boasts its fleet of Vactor 2100‘s in an upcoming issue of Trenchless Technology Magazine. Cleaning and inspecting sewers often comprise the first step to any pipe relining project and a contractor that offers both services can realize great efficiencies. This is definitely true for Capital Sewer Services. 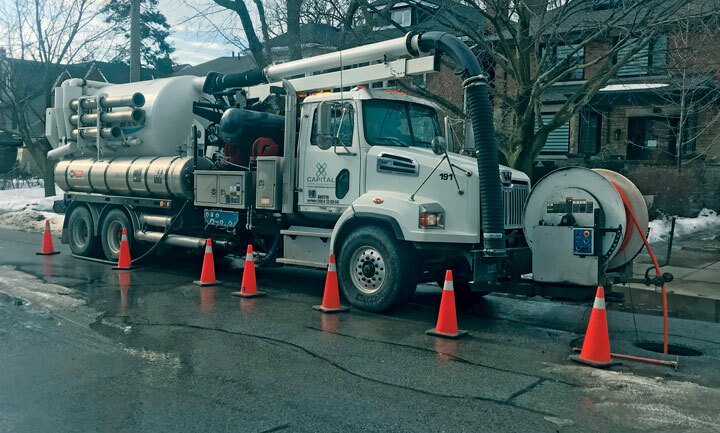 The Vaughan, Ontario, Canada-based contractor has offered both inspection and cleaning since its inception in 1998 and added cured-in-place pipe (CIPP) relining services shortly thereafter. It was an acquisition of American Water, a sewer services company, in 2006 really allowed both divisions to flourish.